tana oros This deal works and I am validating it, only valid while it has not expired. All you have to do is open the link bellow and enjoy the offer. Exequiel This code is checked and shows that it is working and validated on the web. 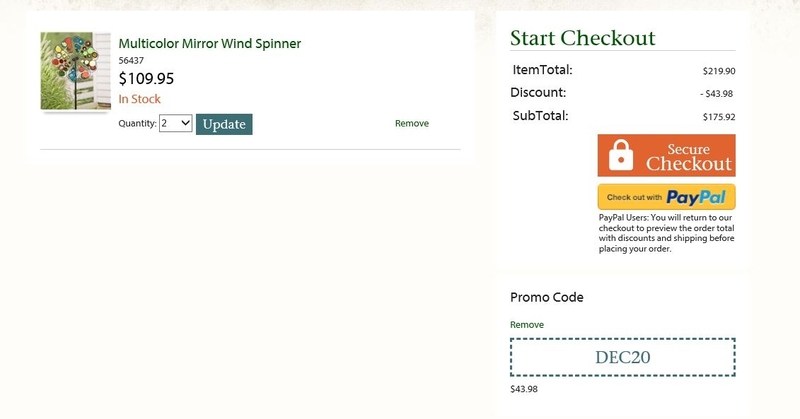 Kaye Baroody Deal works as described and shown in my screenshot. orlando medina I am validating that this deal works as described. 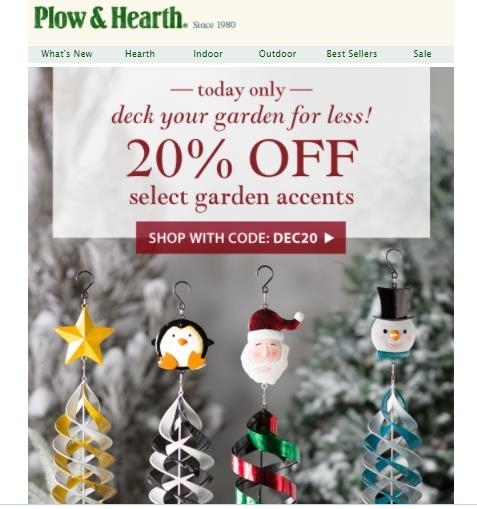 Enter code and get 20% Off Select Garden Accents at Plow & Hearth. This is a limited time offer. 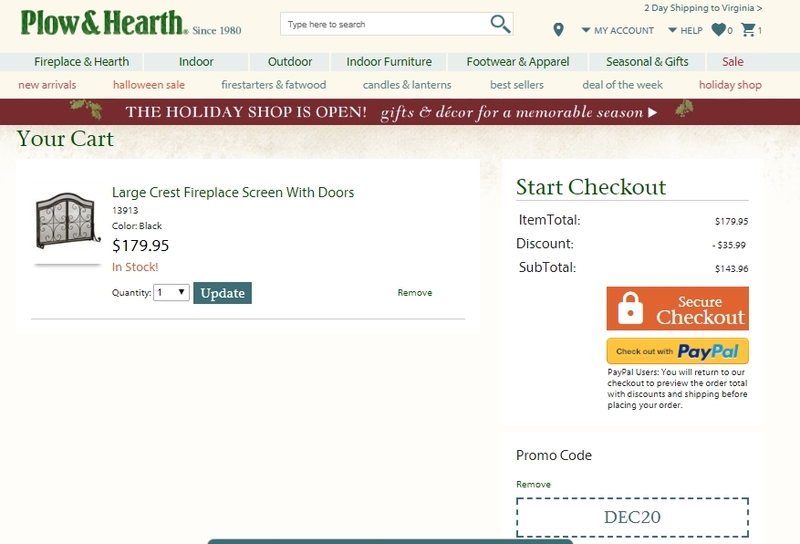 Sara Simply enter code DEC20 into the coupon code box during checkout. Limit 1 per customer. 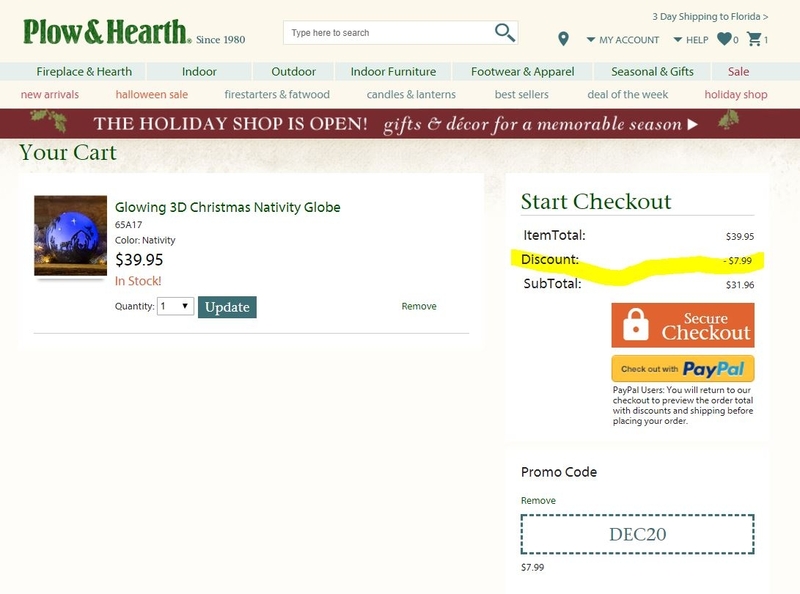 Valid online only and may not be combined with any other offer.